For the longest time, there was one irrefutable rule when it came to buying gaming peripherals: wired is better than wireless. And for good reason: wired peripherals are reliable and have better response times, they don't require heavy onboard batteries, and you don't have to worry about battery life. But all of that has changed thanks almost entirely to one technology: Logitech's Lightspeed. Lightspeed wireless gaming mice are just as responsive as wired mice. And they're reliable too - in fact Logitech's wireless gaming mice are now more popular than any other type of mouse used in Blizzard's Overwatch League. So if esports pros playing for millions of dollars in prize money feel confident enough to use them, you can be too. But there are still some drawbacks. 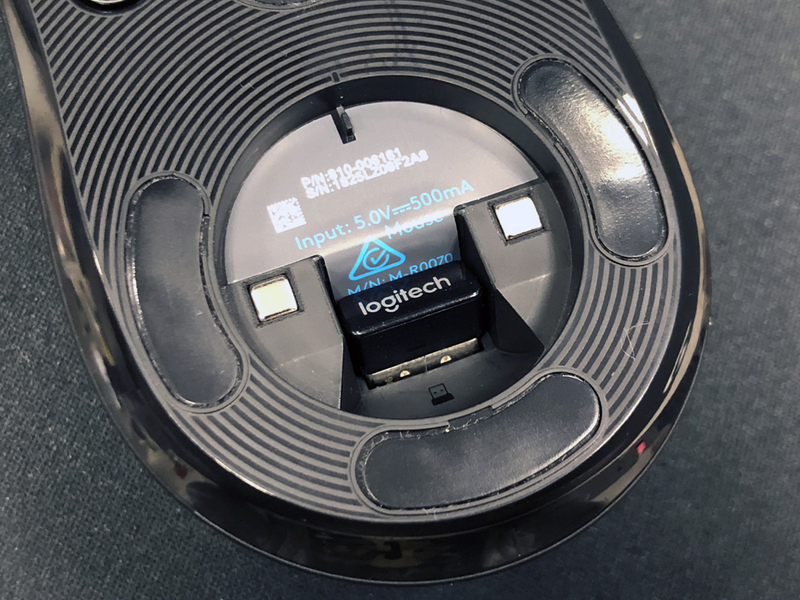 On average, Logitech's Lightspeed mice tend to be about 20g heavier than their wired equivalents (the wireless G403 weighs in at 107.2g while the wired version is just 87.3g), and while battery life is better than before, you still need to recharge them every 25-30 hours or so - which is good, but not great. 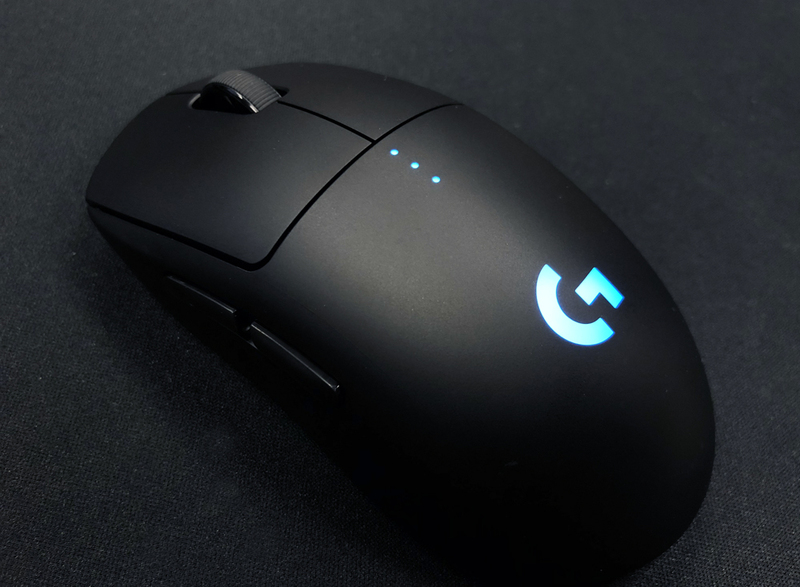 But all this has changed with Logitech's newest mouse: the G Pro Wireless. Somehow, Logitech has gotten the weight down to just 80g, lighter than most wired mice, and despite its light weight, it doesn't compromise in the battery department either. Thanks to a new power efficient Hero 16k optical sensor, the G Pro Wireless will last 60 hours on a single charge with RGB lighting disabled, or about 48 hours with it on. That's amazing. When was the last time any product got 30 percent lighter, but doubled its battery life? This mouse shouldn't be possible. Logitech is straight up terrible at naming its products. Bland letter + number combination aside, it tends to reuse the same numbers on different products (and some products go by different letter + number combinations in different regions). The G Pro Wireless is no exception. Based on the name alone, you might assume that it's just a wireless version of the existing, and very popular G Pro gaming mouse. However, the G Pro Wireless has a completely different shape, and for all intents and purposes, has absolutely no relation to the existing G Pro. 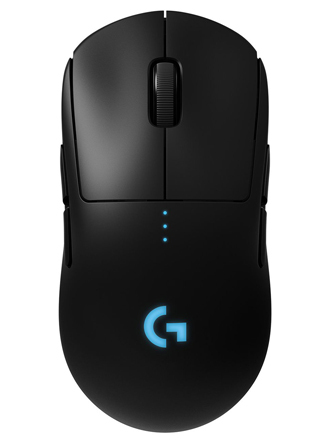 By the way, if you're looking for a wireless version of the G Pro, take a look at the G304 - which is also known as the G305 in some regions, because... Logitech. 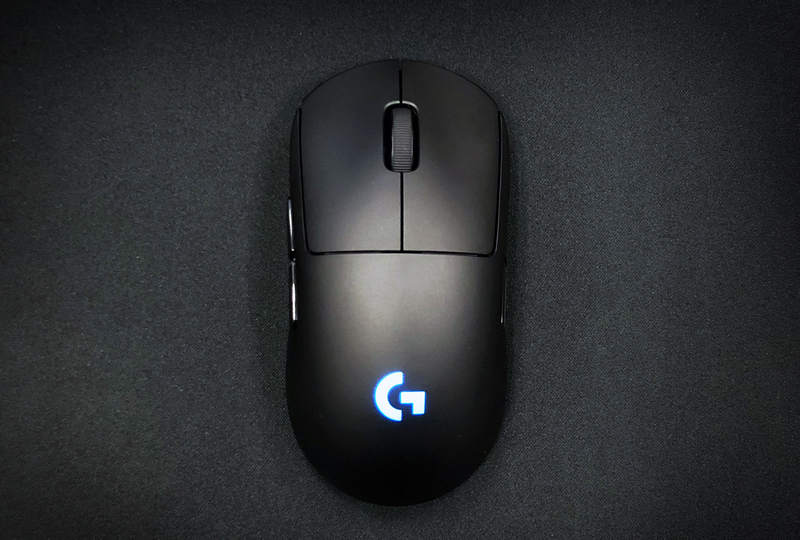 The G Pro Wireless has a very safe medium-size ambidextrous shape with a rounded hump in the middle. It measures 125 x 63.5 x 40mm and feels like a slightly smaller Steelseries Sensei (the original, not the newer 310 version), or like a Zowie FK2 with a higher, rounder hump. The mouse's rear end isn't as wide as the Sensei, and it doesn't curve in the middle as much as the FK, but it still feels quite similar. Actually, the mouse it's closest to in shape is the original Microsoft Intellimouse 1.1a, just smaller. My hand measures 195 x 100mm and the mouse is slightly undersized for palm gripping, but is perfect for claw grip. 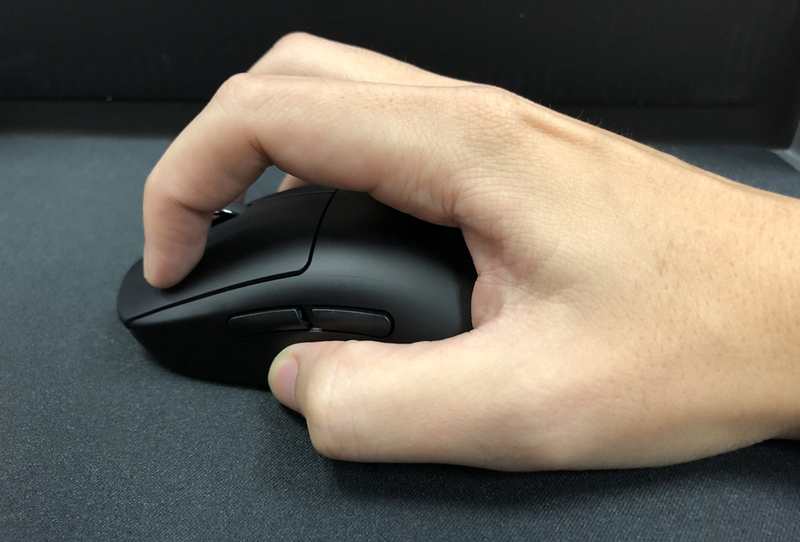 I can use a palm grip, but my fingers end up hanging slightly over the end of the mouse. I absolutely love the shape of the G Pro Wireless. For the past year or so I've used the following mice for extended periods: Zowie FK1, Zowie ZA12, Dream Machines DM1 Pro S, and Steelseries 310. All of these mice have a somewhat similar shape, but for me, the G Pro Wireless feels the best. 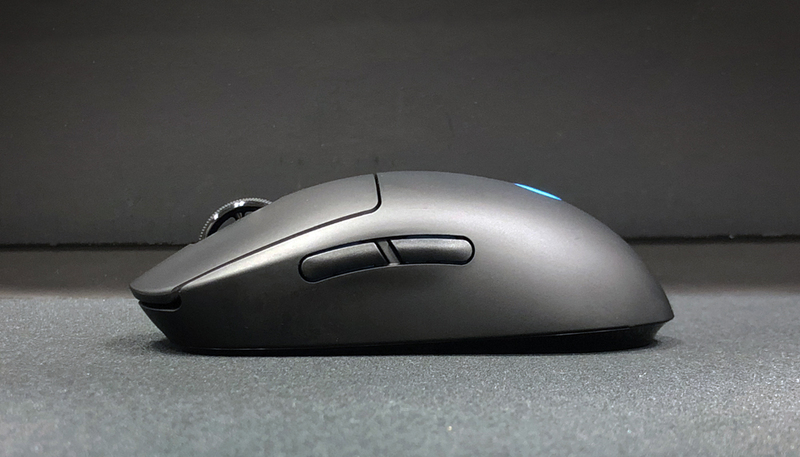 The G Pro Wireless is also the lightest out of all the mice I've tested, and you can even reduce its weight a further 3g by removing the hatch on the bottom that's designed for Logitech's PowerPlay puck. If you do play with a PowerPlay mat, the added puck will bring the weight to 82g - still very reasonable. The mouse is nicely balanced too, with a balance point slightly behind the sensor. To keep the weight low, the mouse is entirely plastic with no superfluous elements like rubber side grips. The shell is also extra thin at just 1mm, but surprisingly, still feels solid and there's absolutely no flex. The plastic has a smooth finish to it, and seems to be the same material used on the top of the Logitech G403. 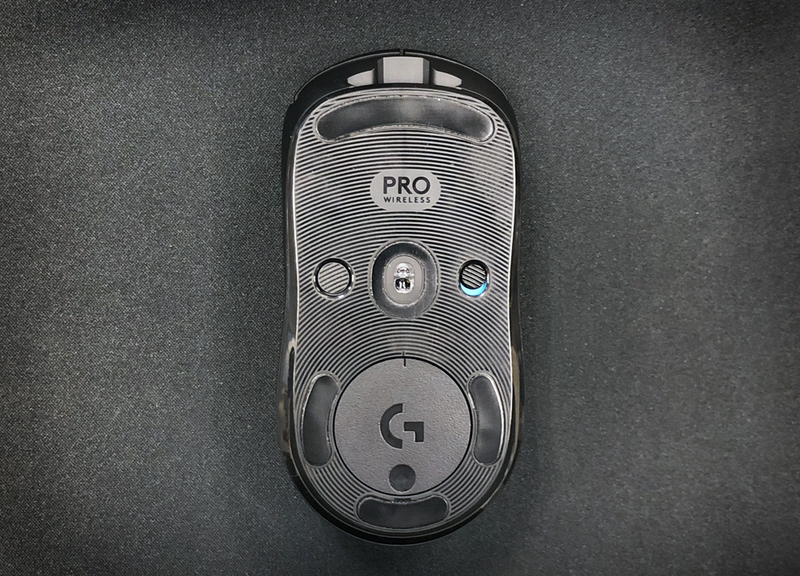 The scroll wheel does have a rubber strip on it where the notches are, but that's all the rubber you'll find on the G Pro Wireless. The left and right buttons are firm and crisp, but are still fairly easy to click. The buttons are separate from the shell and end slightly in front of the halfway point. 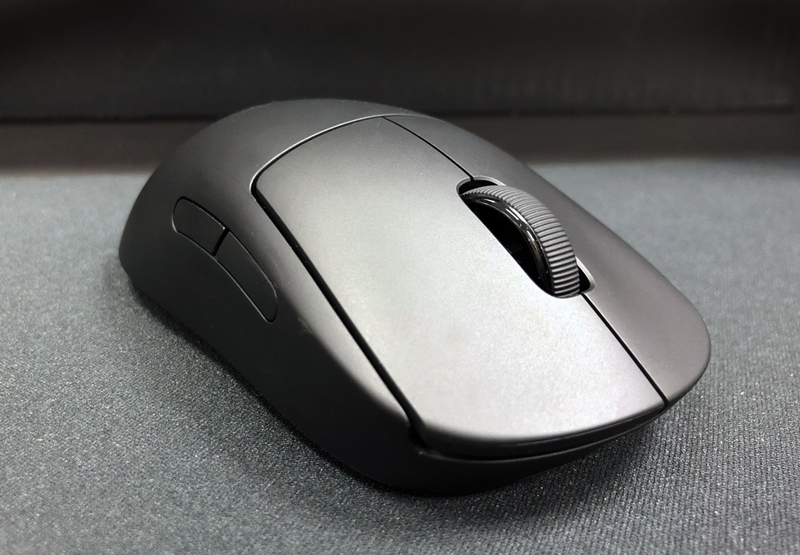 Some of Logitech's mice are guilty of having buttons that are far too light (looking at you G304/G305) but fortunately the G Pro Wireless isn't one of them. So far I've been using the mouse for a few days and haven't had any accidental clicks yet. The scroll wheel is fairly easy to press, and the wheel has just the right amount of resistance when scrolling. The side buttons are small and out of the way, and they're actually modular, so you can remove them entirely, or only have them on the left or right side. The side buttons have less travel and feel slightly lighter than some of Logitech's other mice, but they still feel firm and crisp. 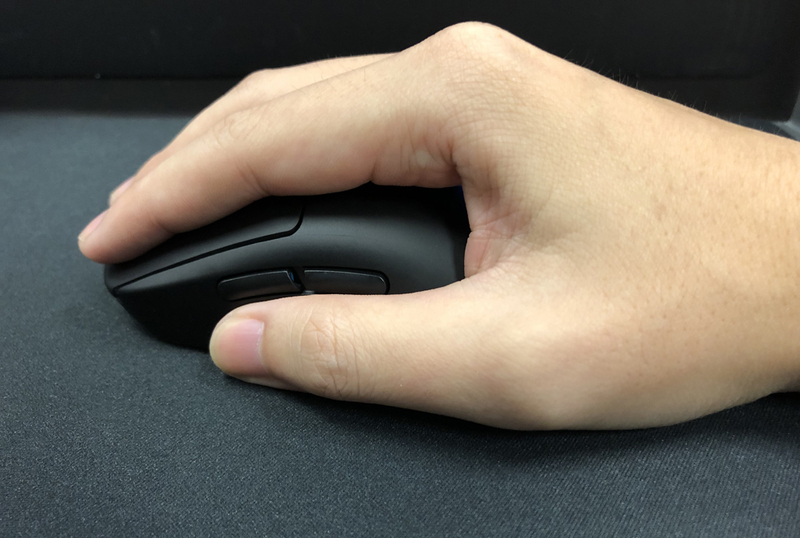 Taking a page out of Zowie's book, the DPI button can be found on the bottom of the mouse, so there's no chance of accidentally hitting it in game. The three indicator lights on top show you what DPI setting you're using. On the bottom there are four feet: one long one at the top, and three small ones surrounding the PowerPlay hatch. The feet are small and fast, which, when combined with the mouse's low weight, result in a very fast, snappy feel. The whole mouse feels solid and well-built and there's no sensor rattle or loose parts when you pick it up and shake it. The G Pro Wireless can also be used wired if you prefer. It comes with a very nice soft rubber cable that reminds me a lot of Zowie's mice. The cable itself is light and smooth and won't drag on your mouse pad. When you're not using the cable you can plug the USB dongle and wireless receiver into it. By the way, the USB receiver can also be stored in the bottom of the mouse, in a slot inside the PowerPlay hatch, so you don't lose it when you're traveling. Powering the G Pro Wireless is Logitech's new Hero 16k optical sensor. This is Logitech's exclusive power-efficient version of the Pixart PMW3360. The mouse has a DPI range of 100 to 16,000 customizable in steps of 50. 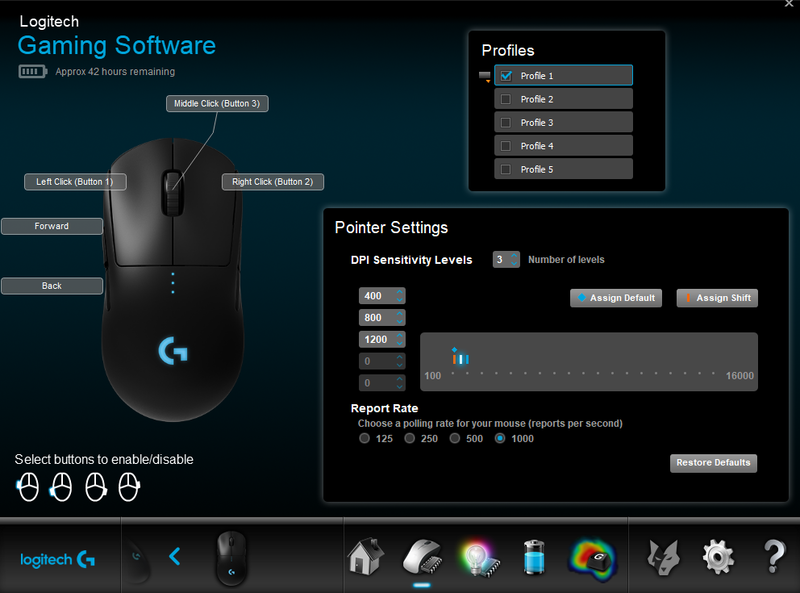 You can configure this in Logitech's easy-to-use Logitech Gaming Software. The sensor is basically perfect, with no acceleration, smoothing or jittering. It's impossible to make it spin out, even with aggressive tilt slamming, and it tracks smoothly and flawlessly. Lift of distance is also extremely low at about 1mm. If you like ambidextrous mice, this is the best FPS or MOBA mouse you can buy right now. With the modular setup and Logitech's G-shift software, which lets you macro extra functionality onto any of the buttons, you could even use it for MMOs. It's lightweight, with a great shape and finish, firm and crisp buttons, an amazing sensor, and long battery life. Here's the kicker though: the G Pro Wireless is incredibly expensive. 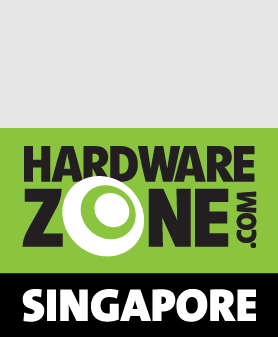 At S$249, the G Pro Wireless is one of the most expensive mice around. But you know what? It's actually worth it. 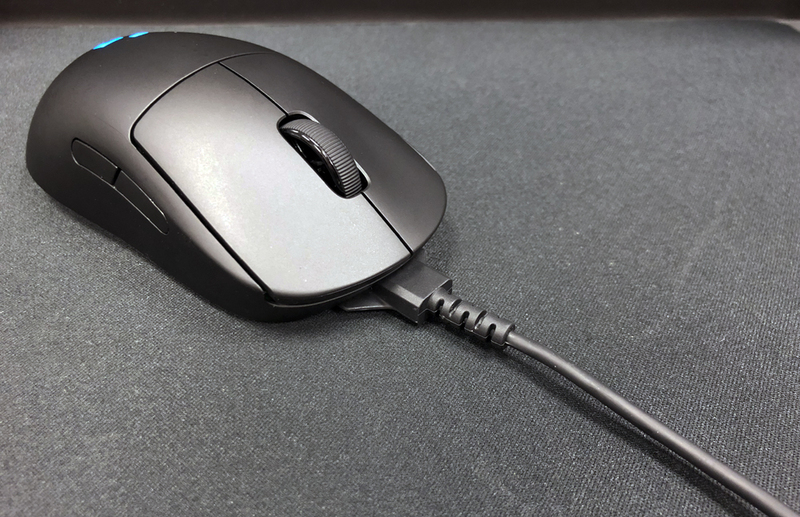 Other mice around this price range tend to come with a whole host of impressive but ultimately useless features, like modular grips and adjustable click force technology. These are features you'll probably set up once, then never change again. But with the G Pro Wireless, you're not just paying for the best wireless gaming mouse available today, you're paying for the best gaming mouse period. And if you can afford it, that's worth spending your money on.